Honeoye Pottery is a studio and gallery located in Honeoye Lake, NY. The professional studio space is shared with multiple ceramic artists from the Finger Lakes Region of upstate NY. All of the work displayed in the gallery is either made on site or has a close affiliation to the studio artists. Please stop into our gallery to view and purchase works by our artists. Alysha Baier is a Ceramic artist working out of Honeoye Pottery full time in Honeoye, NY Located in the Finger Lakes region of Upstate NY. 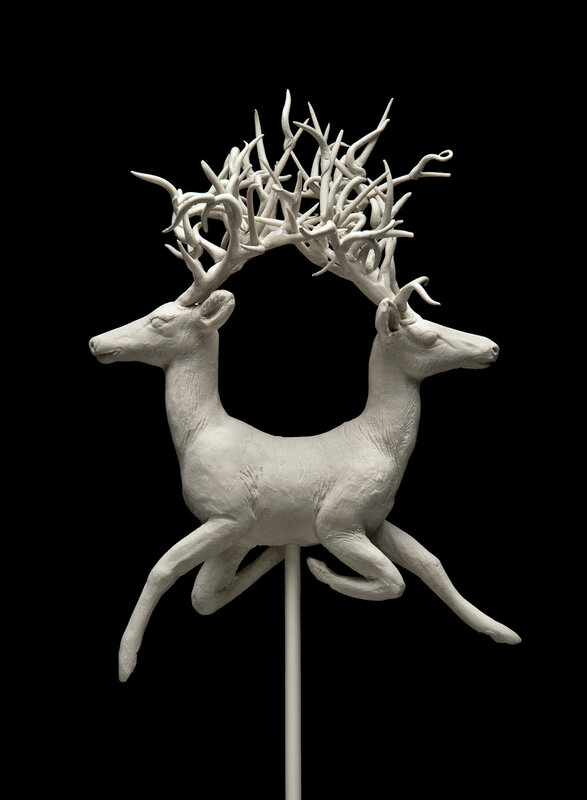 She keeps a whimsical and loose approach to her work by taking wheel thrown forms and altering the surfaces. Her style is also known for slip design that compliments the altered forms. Though Alysha focuses mainly on the production of functional tableware, she also has a line of decorative Horse Hair pottery. Alysha began her studies in clay at Western Carolina University in Cullowhee, NC. She then moved on from the institutional environment to a studio and gallery in Dillsboro, NC where she apprenticed with potter Joe Frank Mckee. She continued her studies with community college classes at Southwestern Community College, Swan Center with Joe Frank as her instructor. In 2010, Alysha made her way back home to the Finger Lake Region after a year-long residency at Core Clay studio and supply in Cincinnati, OH. She quickly began making connections with fellow ceramic artists by assisting in the creation of Western New York Pottery Festival hosted by Studio Sales Pottery in East Avon, NY. Currently she is running Honeoye Pottery, as well as participating in pottery festivals throughout the US such as the Western North Carolina Pottery Festival and the WNY Pottery Fest. On top of pursuing a career of her passion, she is co-owner of The Cornerstone Market and Peggy’s Rumpus Room located in The Cornerstone Building right in front of Honeoye Pottery. Alysha plans on expanding the studio space in spring of 2017 to offer classes to the public. Kala is the Director of Ceramics at Sonoma Community Center, Sonoma, California where she is developing and enhancing their community studio, artist in residence program, and community outreach programming. Her studio is located at the Community Center, 276 East Napa Street, Sonoma, CA 95476. Robin Whiteman has been working with clay since the age of 11. She is a graduate from RIT's School of American Crafts and has taught throwing and sculpture to children and adults at the Memorial Art Gallery, the Rochester Museum and Science Center, and Genesee Pottery. She has been a resident ceramic sculptor and ceramic tile muralist at several area high schools and more recently at RIT. Robin's work is shown at Exhibit A in Corning, Thompson-Giroux Gallery in the Hudson area, and Michele Varian in New York city and can be viewed at Robinwhiteman.com.